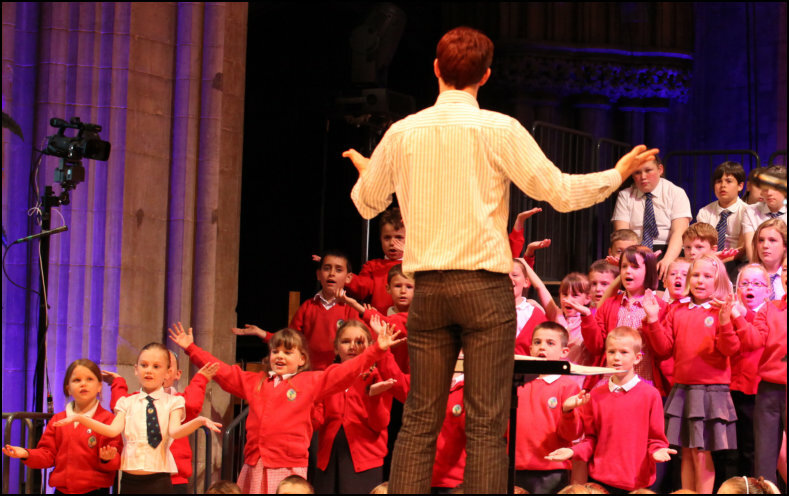 Conflict and resolution: two giants of British composition see the Cathedral filled with local, young voices and instrumentalists, and the burgeoning talents of Chetham’s School. Britten’s children’s opera Noye’s Fludde finds hope in both dove and rainbow after the great deluge; Holst’s The Planets, written during the Great War and in the centenary of its premiere, lifts us from the sodden earth to the heavens. The insidious threat of Mars, Bringer of War, and the stately calm of Venus, Bringer of Peace, are heard here alongside Colin Matthews’ latter day addition, Pluto.